Microsoft's presentation at E3 is mere hours away, but it appears at least two new Kinect titles have already been leaked. USA Today is reporting that the otherwise tight-lipped folks from Redmond will be introducing Kinect Disneyland Adventures and a version of the popular iPhone game Fruit Ninja that will work with the Xbox 360's popular motion-sensing camera add-on. Disneyland Adventures, which will allow players to fly or walk around and interact within a virtual representation of the California park, would confirm speculation about a partnership between Microsoft and Disney. While the Disney title is more of a tour, Fruit Ninja is all game. A Kinect version of one of the most popular iOS games sold in the iTunes store is a sure hit, even if it doesn't break much new ground or otherwise wow Kinect fans. Other announcements expected this morning include Kinect Star Wars, which already leaked earlier with some less than impressive footage; and another kids' title -- Sesame Street: Once Upon a Monster. 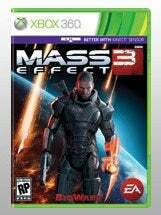 One of the more lively Kinect rumors is that Mass Effect 3 may have Kinect support, but perhaps the only announcement that would qualify as enough of a blockbuster to truly satiate Xbox fans is the long-shot notion that Microsoft may announce a new console today. My guess, though, is that Microsoft's rumored Xbox TV service will be the big news this year. Either way, we can stop guessing when the lights shine on Microsoft's stage at E3 beginning at 9 a.m. Pacific Time today.